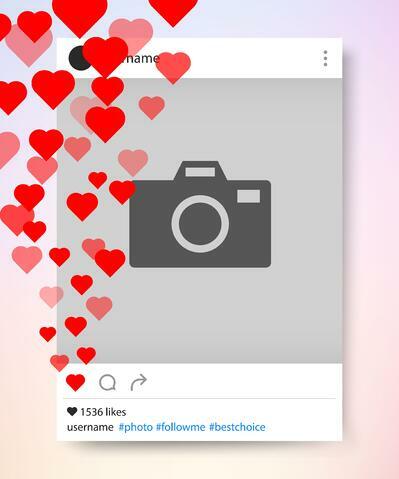 Growing your Instagram following can be a little tricky. Some people may want to grow their business or personal Instagram account for various reasons. There are a few different ways to grow your Instagram following. If you do it the right way, it takes a lot of time, continuous dedication and effort. The honest way to generate more followers and engagement is to post great content and come up with a smart Instagram marketing strategy and engage with your audience multiple times a day. Some people don't want to take the time and effort to get loyal Instagram followers so they will buy Instagram followers for a small price. Does anyone really know what happens when you buy fake followers, likes, and engagement? In this blog post, we will talk about what it takes to grow your Instagram following and get more engagement on each one of your posts. When people look at an Instagram account, unfortunately, they typically decide if they want to follow and engage with an account based on the number of followers someone has. You might be surprised at the number of people who buy Instagram followers. Celebrities, politicians, influencers, and brands have paid for thousands of followers just to make their Instagram account seem like an authority figure in their own little niche. People buy Instagram followers because it's all about perception - think of it as a popularity contest. Some people buy Instagram followers because they are just getting started and want to buy a thousand followers to give them that little boost they need. So many people want to be Instagram famous and buying fake Instagram followers and likes is a fast and easy way to get there. To get started, you link your public Instagram account to a service, choose how many followers you want to buy, and make a purchase. Once you have done that, you can watch your audience grow. It's that easy. But, how much does it cost to buy Instagram followers? 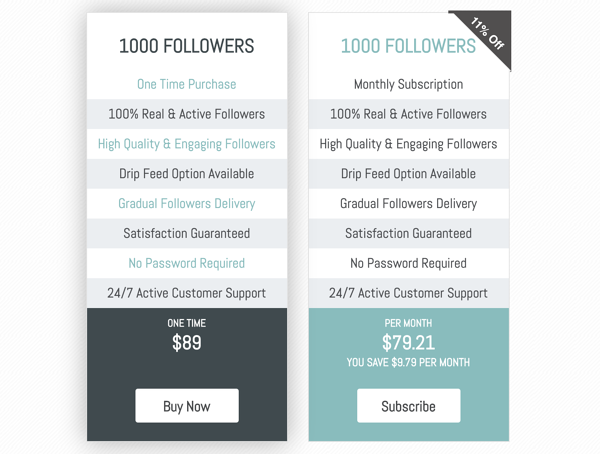 There are many cheap services available that allow you to buy 1,000 Instagram followers for only $10. Typically when you find services that offer followers this cheap, many of the followers are bots or inactive accounts. Meaning, they will never engage in your posts or buy your products. Buy Instagram Followers is one pretty expensive service. Their services are higher because they promise you that their followers are active and real Instagram accounts, unlike many others who just get you bots and inactive users. For 1,000 followers will cost you $90. 2,000 followers will cost you $179. 5,000 followers will cost you $445. 10,000 followers will cost you $899. 15,000 followers will cost you $1,349. 20,000 followers will cost you $1,800. Here's something to think about. Is it more valuable to have 30,000 fake followers or 1,000 real followers who will engage, comment and like your posts? Once you have quite a few Instagram followers make sure to measure your engagement rate. To estimate how much engagement you should receive depending on the amount of Instagram followers you have is pretty simple. If you own a business, this will help you see how well your Instagram strategy is working. It will also tell you if your target audience is connecting and engaging with your content. Here's the question, if it were so easy and cheap to buy fake followers wouldn't everyone be doing it? When you buy Instagram followers, you are only paying for a number. This means that the followers you pay for will not engage in your Instagram posts or stories. The new followers aren't likely to follow you back and if they do they will follow you for a few days and then disappear. If your priority is to have a big follower count, buying Instagram followers will definitely do that. Remember that these followers will not follow and engage with you forever and Instagram is cracking down on the number of bots and inactive accounts a user has. If someone finds out that you purchased tons of new followers, it could ruin your credibility with the people who actually follow you. If you're looking to become an Instagram influencer, most people will not work with you if you bought your followers and if they do figure it out that means big trouble. What's the point of paying for thousands of Instagram followers, if you only get 5 likes on your posts? To me, that's just suspicious. So, is it just a waste of money? I'll let you decide. We hope this blog was helpful and if you need any more help with Instagram and influencer marketing then reach out to or join our DM Impact community or our blog. You can learn new tactics and also have a mentor right beside you to keep you up to date on all of the new changes and help you get the results you need!